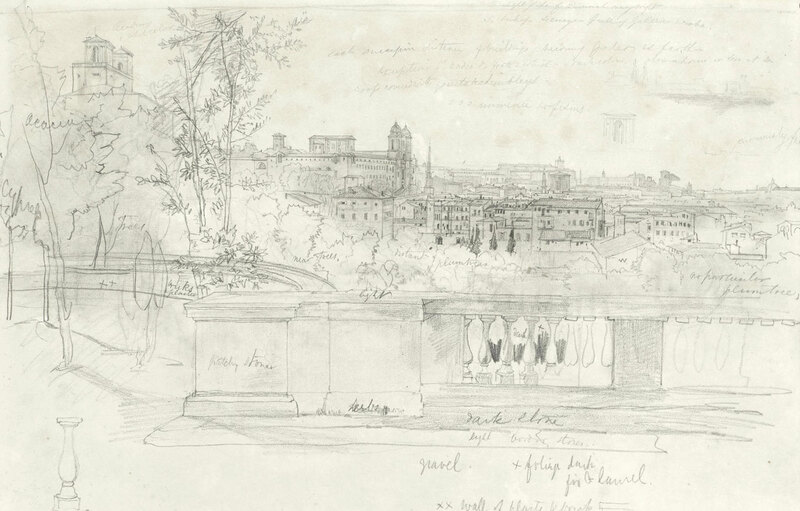 Edward Lear, View of Rome. Variously inscribed and annotated. Pencil on paper. 27 x 42cm (10 5/8 x 16 9/16in). I now own this Edward Lear watercolour!